Italy will be out for revenge for their summer defeat when they host Samoa in their opening end-of-year Test in Ascoli on Saturday. 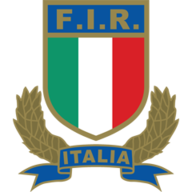 The Azzurri have battled hard in their recent matches against Samoa, but suffered a 15-0 defeat to the Pacific islanders in Apia when they last met in June. Samoa also secured a 39-10 victory when these sides met during a four-nation tournament - which also involved hosts South Africa and Scotland - in Nelspruit in 2013. Italy coach Jacques Brunel expects a tough assignment and knows his side will have to be at their best if they want to be victorious in this encounter. 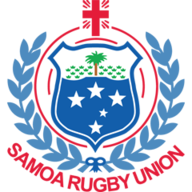 "Samoa are the most organised of the southern Pacific nations: in the past they leaned on strong individuals, now their game is a lot more structured," he said. "We know it's going to be a difficult challenge." Italy welcome back influential skipper and No 8 Sergio Parisse, who missed their disastrous June tour where they lost successive matches to Fiji, Samoa and Japan. Brunel insisted Italy's scrum problems against Samoa last time out was a flash in the pan and hopes his biggest concern, the Azzurri defence, has learned lessons from past mistakes. "Our scrum really had problems against Samoa during the tour, but I'm sure it was an exception," he added. Samoa coach and former All Blacks centre Alama Ieremia has picked an exciting starting line-up for this clash. Alapati Leiua gets the nod at centre, while fly-half Tusiata Pisi and scrum-half Kahn Fotuali'i are exciting game-breakers. Captain David Lemi and fellow wing Ken Pisi are fine finishers. Up front, the likes of the experienced Ti'i Paulo, Kane Thompson and Anthony Perenise are expected to provide leadership at the coalface. If their forwards can provide quality ball for their exciting backs and Italy's defence is not at their best then the visitors will get their tour off to a perfect start. With matches against Canada and England to follow Northampton scrum-half Kahn Fotuali'i knows they have to be at their best from the off. "The opposition is a lot tougher than we normally have in the autumn, but we need to play those good teams to get better ourselves," he said.